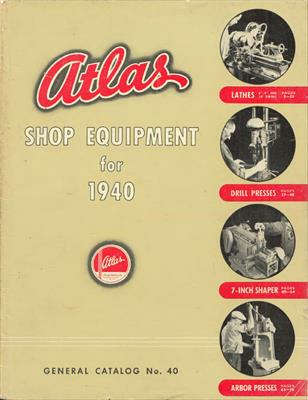 Publication Title: 1940 Atlas Shop Equipment, General Catalog No. 40 Includes 16 page "Complete Price List... Effective November 15, 1939"